Ketika ditanya mengenai apa yang SimGuru kerjakan setelah dirilisnya The Sims 3 Island Paradise, SimGuruCopeland menjawab: "Sebagian orang mengerjakan Sims 4. Sebagian bekerja keras mengerjakan Future EP. Dan kami sedang mengerjakan Store Stuff terkeren yang pernah ada." 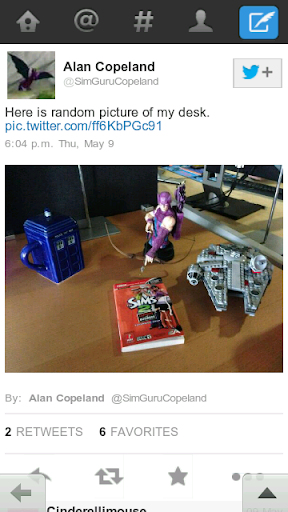 Melihat tweet lawas SimGuruCopeland, dia menyisipkan foto yang di dalamnya berisi cangkir yang sering dia gunakan, sebuah miniatur berwarna ungu dengan anak dan busur panah yang jelas-jelas merujuk pada Dukes of Bows Ren Faire, buku manual The Sims 2 Open for Business, dan pesawat antariksa. Berikut adalah jawaban dari SimGuruCopeland. Apakah benar pesawat antariksa merupakan petunjuk dari EP berikutnya tentang masa depan? 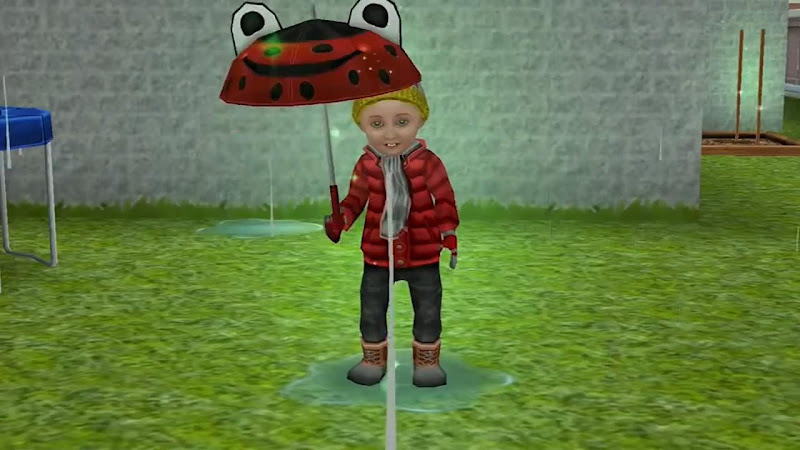 Atau petunjuk dr store content yang dibicarakan oleh SimGuruCopeland? Lalu bagaimana dengan buku panduan The Sims 2 Open for Business? Jika kalian mempunyai pendapat mengenai petunjuk ini, silahkan berkomentar untuk berdiskusi. Merasa bosan dengan gambar latar menu utama The Sims 3? 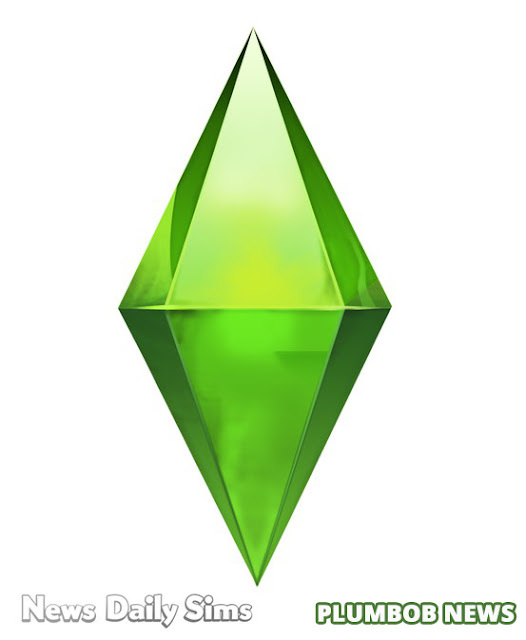 Kali ini tim Plumbob News membuat mod untuk merubah tampilan menu utama pada The Sims 3 kamu dengan tema Island Paradise. Bagi kamu yang bosan, mungkin kamu bisa mencobanya. Apalagi sekarang sedang musim-musimnya The Sims 3 Island Paradise. Versi base game 1.31 ke atas. Compatible dengan semua EP dan SP. Resolusi layar pada game 1366x768 (rasio 16:9). Tidak konflik dengan apapun, tidak menyebabkan crash dan yang lainnya. • FAQ – All questions regarding Houseboats answered. • Edit Town Tutorial – How to add a houseboat to a world using the in-game editing tools. • CAW Tutorial - How to build a custom world with the Create a World tool that has houseboats. • Write the CAW tutorial. • With your Sims selected and on the "Choose a house!" step, simply click on a houseboat that you can afford and purchase it. • With your Sims selected and on the "Choose a house!" step, click on one of the map tags that looks like a dock. • A drop down window will appear. Select which size and style of houseboat you'd like. • Confirm that you would like to purchase the lot. • Once you move in, you'll have a completely blank houseboat to build on from scratch. 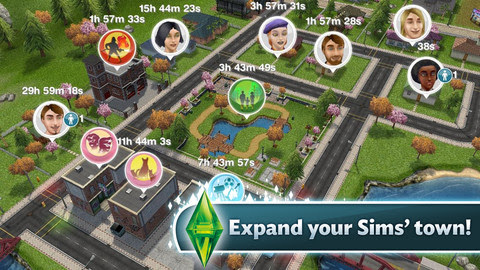 • Use your Sim's phone to initiate a move within the neighborhood. • In the Move window, select "House..."
• Choose a houseboat in the world that you can afford and confirm your selection. • In the Move window, select "Empty Port..."
• When the game switches to map view, select one of the Empty Port lots indicated with the Dock map tag. • An empty houseboat of the size/style you selected will be created at the port and your family will move there upon confirmation. • In the Move window, select "Empty Lot..."
• When the game switches to map view, select the empty houseboat you already created. • Foghorn - Loud and awesome. Annoys other Sims on the boat. • Faster Engines - Allows you to toggle between normal speed and a faster speed. • The family will automatically be assigned to a different empty home in the world. • If no empty home is available, the family will be assigned to an empty lot. • If no empty lot is available, your save game will be unrecoverable without reinstalling The Sims 3 Island Paradise. A notification will prompt you to return to the main menu as there is no way to fix your save without reinstalling Island Paradise. • When it says "wait for your controls to feel responsive", what's really happening is that the game is updating a ton of information in the background to try and fix your game session since your Sim's home was deleted by uninstalling Island Paradise. Typically this only takes a few seconds, but it may take longer on slower machines. If you can smoothly move your camera around then the process is complete. • If you create a "Barge, Small" houseboat and save it to the bin in Edit Town, it can be imported onto other "Barge, Small" size houseboat lots. You would not be able to import this houseboat onto any other size/shape/style of houseboat. • You can not take any existing lot built on land and import it onto a houseboat, even if the size of the lot is the same as the size of the houseboat. • Click on the button next to your Sim's picture. This is normally "Return Home", but switches to "Return Houseboat to Port" when on a houseboat. • Click on the helm, hull, or wall of a houseboat and select "Return Houseboat to Port". • Switch to map view, click on the map tag of your port and select "Return Houseboat to Port". • Click on the ground at your port and select "Return Houseboat to Port". • Click on the helm, hull, or wall of a houseboat and select "Change Port". When map view opens, select the port you want to switch to. • Switch to map view, click on the map tag of the empty port you want to dock at and select "Dock Houseboat At This Port". • Be entirely over the ocean water. • Be placed in deep enough water (it can't be too close to the shoreline where the water is shallow). • Be placed entirely within the confines of the port lot (it can't extend outside the lot). • Be placed at the correct height above sea level (if you followed step #13 correctly this shouldn't be a problem). • DO NOT use the "moveobjects on" cheat to place the gangway. If the placement isn't valid without using this cheat, then your houseboat will route fail when attempting to dock with it. • If you simply wanted to add a functional empty port, you're all done. • If you want to add a empty houseboat, continue on. • If you want to import a houseboat from the Edit Town bin, skip down to step #35. The Sims 3 Island Paradise Has Docked! Wow! Can you believe The Sims 3 Island Paradise launch day is finally here!? What an adventure this project has been! 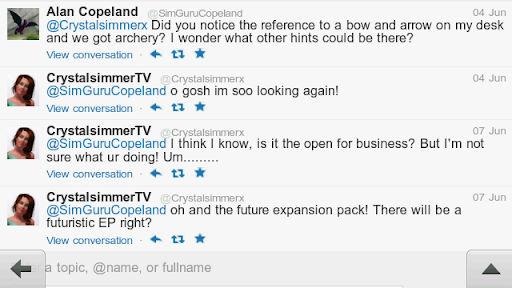 In fact, it’s been exactly one year since the very first meeting we had to figure out the theme for the 10th expansion pack for The Sims 3 . And, despite it being the 10th in a long line of great The Sims 3 titles, I’ve never been more excited for the launch of any game I’ve ever worked on! The Sims 3 Island Paradise is a huge expansion pack that adds major features for everyone – regardless of how you play The Sims . From houseboats and resorts, to uncharted islands and scuba diving, I can’t think of any other TS3 expansion that added so many new major systems and ways to play. But you guys already know all about what’s in the pack! So instead of using this blog to recap all of the great things in The Sims 3 Island Paradise , I thought I’d share a few tips and tricks so that you can dive into your very own paradise as soon as you get your hands on it. • The easiest way to get into resort management is to “buy” Hobart’s Hideaway. This once, beautiful resort has fallen into disrepair and needs a lot of work, but it’s a great way to kick start your resort empire without too much financial commitment! Due to the state of the resort, it’s going for the low, low price of §0.00! It will get you into resort management much quicker than building one from scratch. • There’s a multitude of different ways to discover uncharted islands. Some can be discovered by simply exploring the area around them via boat, and others will take a little bit more investigation. Try talking to some of the local Isla Paradiso residents, as they have inside knowledge of the surrounding islands and may send you on a quest for discovery! • Scuba diving opens up a whole new underwater realm for your Sims to explore. But it can be dangerous! Make sure to acquire the Scuba diving skill by snorkeling first before you try heading out into the deep waters. • Keeping guests at your resort happy is a tricky thing to do! Amenities and fun objects found in the Resort Objects Tab in Build & Buy Modes are key to making sure your resort guests have a great time. Happy guests can mean a successful resort! • When it comes to houseboat living, the ocean is your backyard! Move between ports whenever you’d like, or leave the landlubber life behind completely and make home sweet home in the middle of the ocean. • Scuba diving Sims may encounter a mysterious mermaid from time to time beneath the waves. 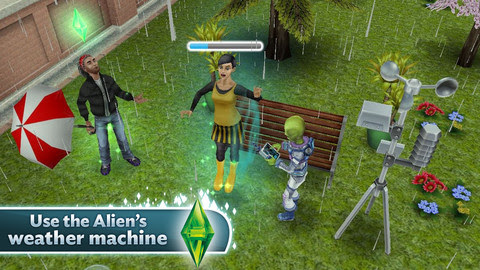 Becoming friends with one is key to revealing the secret behind transforming your Sim into one of them! • When it comes to building houseboats, there are many hull sizes and shapes to start with. If you’re building a smaller houseboat, ladders and the All-in-One Bathroom are crucial for maintaining a functional household in a cramped space. • AQUA SLED!!!!! Different boats travel at different speeds. So if you’re looking to get somewhere quick, save up and purchase an Aqua Sled or Speedboat for your Sims. Both will get you where you need to go (which can be a very long way in Isla Paradiso). And there you have it - some hot tips to get you up and Simming on the sunny shores of Isla Paradiso. 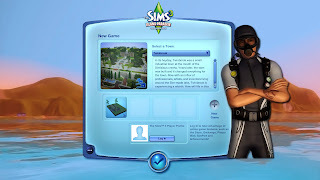 As always, and even more so with this expansion pack, I can’t wait to hear about all the fun you’ll have with The Sims 3 Island Paradise - I’m always amazed to see the content and stories that we didn’t even think were possible being told and created by you. Until next time Simmers, Shaka Brah! 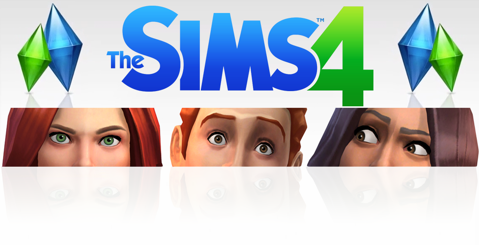 The Sims 4 akan diperlihatkan pada tanggal 20 Agustus 2013 di gamescom berikut dengan trailernya. Siapa yang tidak sabar untuk ini? ♦ Launcher akan menunjukkan versi base game bukan versi expansion atau stuff pack teranyar. ♦ Ditambahkannya objek tangga spiral. ♦ Ditambahkannya objek lengkungan modular baru. ♦ Sebagian dari Lot dapat ditempatkan di atas air. ♦ Menekan dan memahan tombol Alt sambil menyeret pondasi kini akan membuat langkah tunggal membuat ketinggian pondasi. ♦ Sim sekarang dapat membeli rumah tambahan menggunakan sistem Real Estate. ♦ Sim dapat pindah ke world lain menggunakan telepon selular atau komputer. ♦ Denah kolam renang ditambahkan. ♦ Pemain akan mempunyai pengendalian posisi lot ketika menaruh sebuah lot dari bin ke lot kosong yang lebih besar. ♦ Perbaikan crash yang terjadi ketika menjual Sculpting Station dan Sculpting lalu mengklik tombol Undo. ♦ UI Ruangan Makeover untuk Profesi Stylist sekarang menunjukkan teks yang benar untuk wilayah non-Inggris. ♦ Permainan yang disimpan ketika dalam keadaan jeda akan di-load dalam keadaan jeda pula. ♦ Dalam permainan online, kini pesan online mempunyai header untuk menjelaskan dari siapa pesan datang dan dimana itu akan ditujukan. ♦ Sims tidak lagi membeku ketika membangunkan Bonehilda dalam peti Bonehilda. ♦ Durasoft Rocking Chair sekarang berfungsi dengan benar di Aurora Skies terlepas dari instalasi The Sims 3 : Supernatural. ♦ Sims kini dapat meminta Romantic Interest mereka untuk menjadi teman sekamar. ♦ ‘Invite to be Roommate’ kini hanya tersedia dengan terpasangnya The Sims 3: University Life. ♦ PlantSims yang diunduh dari exchange kini dapat menggunakan kekuatan mereka dan mempunyai needs yang sesuai. ♦ Surat cinta yang diterima di Universitas tidak lagi dikonversi kedalam tagihan yang tak berguna ketika kembali ke world asal. ♦ Kecepatan memperoleh Skill dipengaruhi oleh Memahami moodlet Peningkatan telah diperbaiki dan tidak lagi ‘dengan cepat gila-gilaan’. ♦ Foto yang diambil dari telepon pintar ketika berada di Universitas kini dipindahkan ke inventory selelah kembali pada world asal. ♦ Kasur Murphy sudah dibuat kurang mematikan. ♦ Sims yang berkarir di Agen Olahraga kini dapat menegosiasi kontrak tanpa menerima kesalahan. ♦ Sims yang di undang ke upacara wisuda tidak lagi digandakan di panel relasi. ♦ Teman sekamar di world asal telah termotivasi dan akan meninggalkan rumah untuk bekerja dengan sendirinya. ♦ Remaja yang memiliki pengaruh maksimal dengan kelompok sosial kini akan mendapatkan kesempatan karir yang tepat ketika mereka menua. ♦ Sim yang melewatkan kegiatan kelas atau ruangan kuliah tidak lagi membeku needs-nya. ♦ Anak-anak tidak lagi memperoleh pengaruh dengan kelompok sosial. ♦ Fitur ‘Keep Me Logged In’ pada Launcer telah diperbaik untuk bekerja pada patch terbaru. 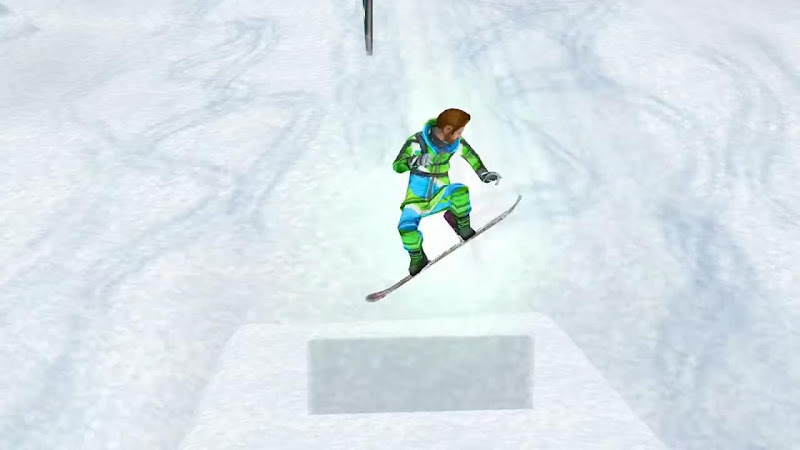 ♦ Karir Penilai Seni dan Agen Olahraga tidak lagi tersedia melalui cheat tanpa terpasangnya The Sims 3: University Life. 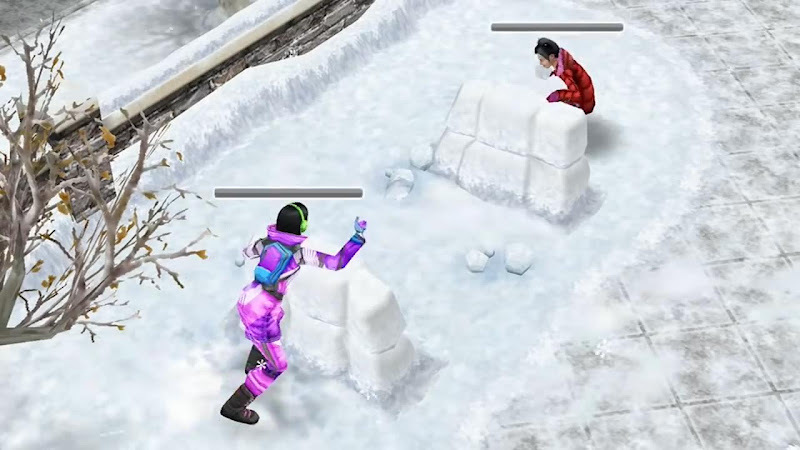 ♦ Sim memilih Karir Pendidikan kini akan memulai karir pada tingkat yang lebih tinggi jika mereka telah menyelesaikan gelar dari The Sims 3: University Life. ♦ Memiliki PlantSims dalam household lalu menghapus The Sims 3: University Life tidak akan lagi menyebabkan beberapa fitur PlantSims tertinggal. ♦ Paket Perawatan kini akan muncul di tab Gifting dengan benar. ♦ Semua sim yang menghadiri protes dalam kelompok kini memiliki akses interaksi Podium dan semua akan menerima moodlet tepat ketika Protes selesai. kini diperbarui secara tepat dalam Jurnal Keterampilan. ♦ Ketika Sim dalam perjalanan ke kelas di dunia Universitas, tooltip yang sesuai kini menggambarkan kemana mereka akan pergi dengan tepat. ♦ Menjual Landasan Bowling dari Family Inventory lalu mengklik tombol Undo kini akan dengan benar menghapus Landasan Bowling dari world. ♦ Keinginan “Play Sports at the Stadium” kini akan terpenuhi dengan benar. ♦ Sim yang sedang berada di dunia Universitas tidak akan lagi menerima keinginan “Talk About new Job”. ♦ Pengguna yang memiliki jumlah Store Content terpasang yang amat banyak tidak lagi mengalami hilangnya konten dari Launcher. ♦ Store Set kini dapat dibeli melalui menu utama. Salah satu team dari Plumbob News mendapatkan suatu gambar Plumbob di internet yang diduga itu adalah Plumbob dari The Sims 4. Benarkah demikian? 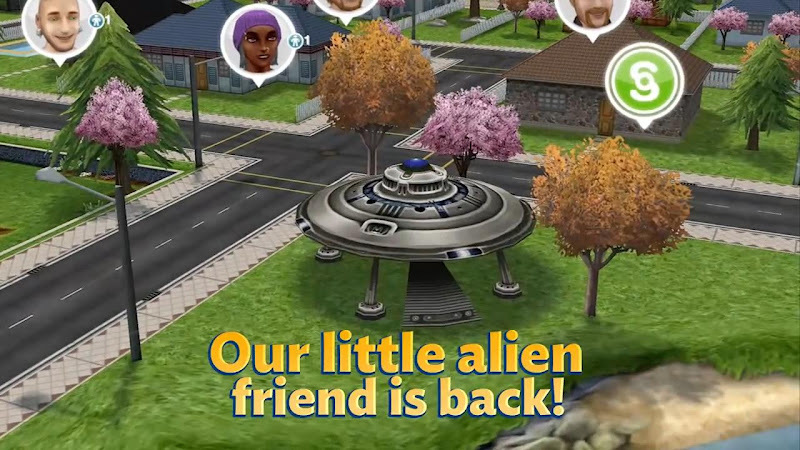 Kali ini kami akan membahas mengenai update terbaru The Sims FreePlay. Versi kali ini mengenai musim dan cuaca. Alien masih tersedia. Bantu dia untuk membuat weather machine dengan menjalankan beberapa tugas yang kan diberikan, dengan batasan waktu tentunya. 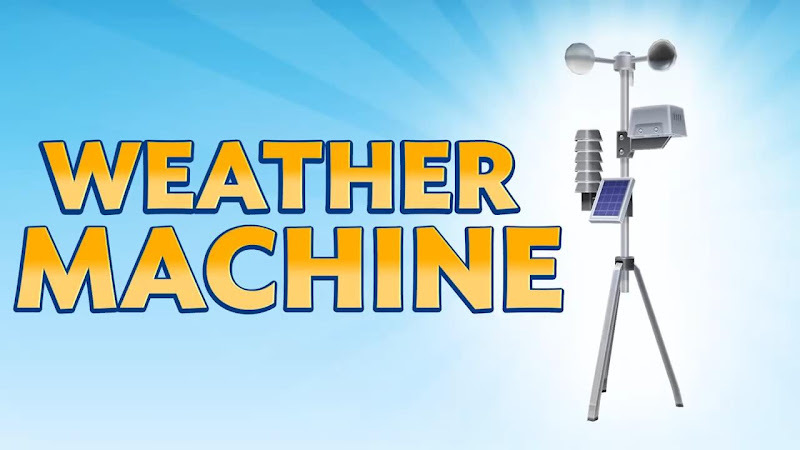 Weather machine atau mesin cuaca dapat digunakan untuk merubah cuaca menjadi cerah, hujan dan bersalju. Tidak hanya itu, mesin cuaca juga dapat merubah dari siang ke malam dan sebaliknya. Jangan khawatir, kalian bisa mengembalikan perputaran waktu berdasarkan waktu yang ada di perangkat kalian seperti biasanya. Kalian siap dengan hujan? Akan ada genangan air di tanah ketika hujan. Mulai dari sim anak-anak sampai dewasa bisa berinteraksi dengan genangan air di tanah. Jangan khawatir dengan hujan, karena tersedia payung untuk melindungi sim kalian dari air hujan. Layaknya The Sims 3, di FreePlay juga sim bisa tersambar petir. Sim kamu akan ada peluang tersambar petir ketika berada di luar rumah ketika cuaca sedang hujan. Dalam hal ini, Sim kamu harus benar-benar bebas dari tugas. Artinya Sim harus dalam keadaan iddle. Sim yang berkebun misalnya, tidak akan tersambar petir. Jangan khawatir, jangan khawatir! Di FreePlay sim kalian tidak akan mati karena tersambar petir kok. Akan ada taman baru nantinya. Taman salju ini letaknya tepat di belakang kantor pemadam kebakaran. 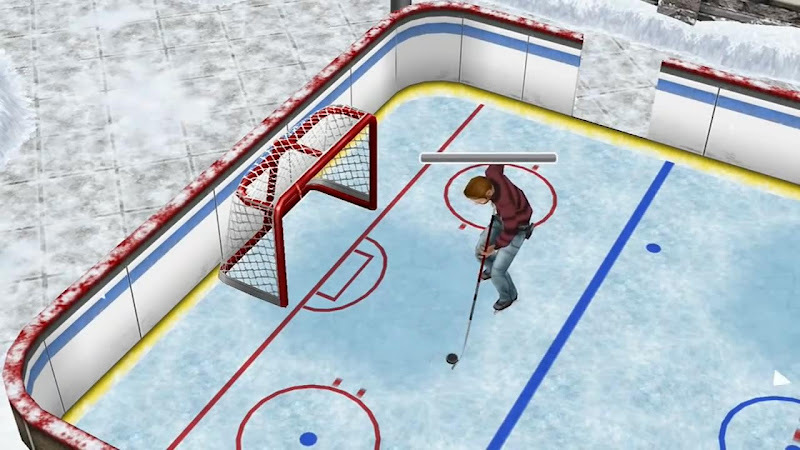 Sim kamu bisa bermain lempar-lemparan salju dan bermain hockey di sana. Untuk membuat FreePlay semakin nyata, Kolam renang akan membeku ketika turun salju, dan sim kamu bisa ber-ice skating di atasnya. 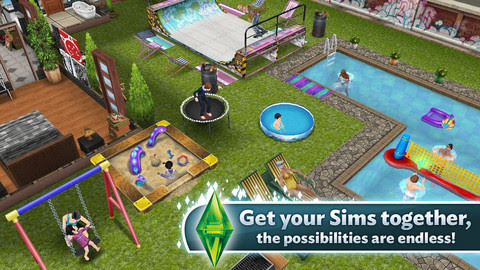 - Seperti biasanya, The Sims FreePlay selalu menarik fitur-fitur dari The Sims 3. 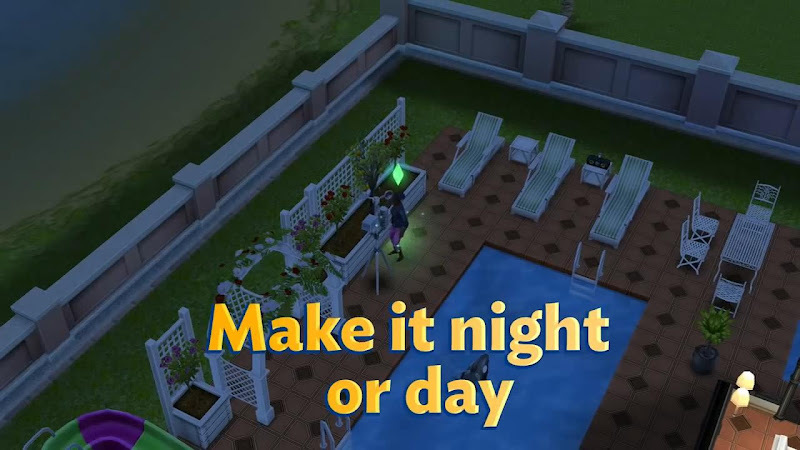 Dengan adanya cuaca dan musim ini, maka The Sims FreePlay akan sangat asik untuk dimainkan. Mungkin tidak akan cepat bosan. - Kehadiran alien di versi sebelumnya merupakan petunjuk dari versi yang akan datang (versi sekarang). Dengan membawa mesin cuaca, sim anda bisa mengendalikan cuaca bahkan siang atau malam. - Mesin cuaca merupakan limited content yang sudah biasa hadir dalam The Sims FreePlay versi-versi sebelumnya. Untuk mendapatkannya kamu harus melaksanakan beberapa tugas yang akan diberikan dengan batasan waktu, dengan imbalan tentunya. Setiap tugas akan diberi rewards. 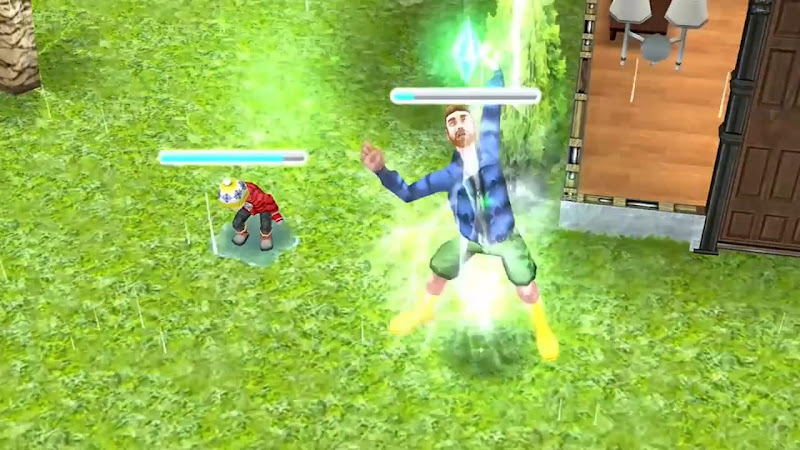 Biasanya berupa Life Points, Experience Points, dan beberapa Simoleons.